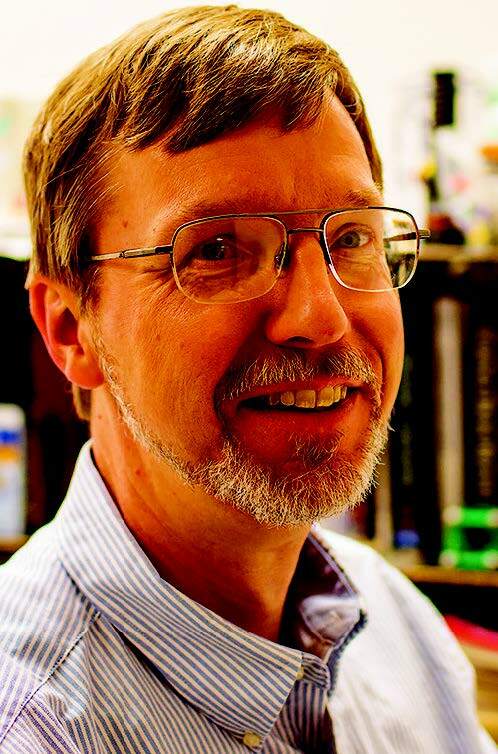 Chemistry Professor Steven Shore is the recipient of this year’s Robert P. Todd Leadership Award. After growing up near Tulsa, Shore attended the University of Oklahoma to study — with several career options in mind. Teaching wasn’t on the list. “I was on a premed track until my junior year and even took the MCAT (Medical College Admission Test),” Shore said. Shore even thought of switching to zoology due to his interest in birds, but ultimately decided to stick to chemistry. After receiving his bachelor’s degree, he attended graduate school where he studied protein synthesis. As an undergraduate, Shore had always thought that teaching “looked fun,” but it wasn’t until graduate school that he realized how much he enjoyed it. “I think a lot of teachers learn that they really enjoy seeing students have those ‘ah-ha!’ moments. After his doctorate, Shore’s desire to be a teacher led him to OCCC, where he now teaches both General and Organic Chemistry. Shore was nominated for the award by Science Director Sonya Williams. He said he is fully aware of the great honor this award signifies. Shore gave credit with his fellow science teachers. “I think that what set me apart from the other nominees was really a reflection of how awesome and committed my colleagues are. The Robert P. Todd Leadership award was created in 2006 in honor of OCCC’s eighth president. Todd took over as president of the college in 1995 after being with OCCC since its opening in 1972. The award was created in 2006 to recognize a faculty member at OCCC who has “demonstrated outstanding leadership in his or her work.